Getting ready for the weekend? Why not try this healthy dessert. This pumpkin pie is really easy to make, and it doesn’t hurt that it’s healthy, either: it’s filled with oats, whole wheat flour, and ground ginger. Let me know how it turns out! Press the mixture into the bottom of a nine-inch backing pan. Combine all the filling ingredients in a food processor; blend well. Pour the blended ingredients into the shell. 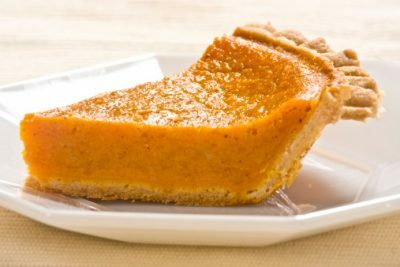 Bake at 350°F for one hour, or until a toothpick can be removed from the center of the pie without residue.